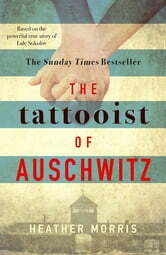 Considering "The Tattooist of Auschwitz" is a harrowing true story, it was truly compelling and utterly unputdownable. It's without a doubt one of only a few books that will stay with me a very long time, it's that unforgettable and one that keeps you thinking about the story well after you've put it down. Lale Sokolov is a well dressed, charming ladies' man - however he is also a Jew. On arrival at Auschwitz in 1942 he immediately stands out to his fellow prisoners who save his life when he takes ill. In the camp he is put to work in the privileged position of the 'Tatowierer' - the tattooist - to mark his fellow prisoners as they arrive in camp. One of them is a girl called Gita who captures his heart immediately. Given a reason to survive Lale uses his position for the greater good even through struggles and extreme suffering, with the hope of one day being with Gita forever, outside of the camp. Although upsetting, saddening and at times quite unimaginable, there is such a beautiful love story at the heart of the tale that you can't help smiling at. I immediately took to all the real life characters, they were excellently portrayed whether good or bad and could imagine the whole true scenario with such clarity. The author Heather Morris took several years to write Lale's story in her book with the input of the main protagonist himself and even becoming a very good friend with him. She has ultimately written a story Lale would be very proud of and which tells of his and Gita's tale of wanting to be together through one of the worst and sickening periods of our history with the utmost care and consideration. Compassionately written with sensitivity, its emotive, thought provoking, awe inspiring and certainly puts your own everyday problems into perspective. This book wasn't as brutal and as hard hitting as some holocaust books I've read although equally saddening, therefore I feel this could be read by slightly younger readers without offending or upsetting. I really can't recommend this stunning book highly enough, it a definite must read for 2018 and it gets a fantastic 5 stars for a heart wrenching unforgettable read. I was apprehensive about reading this book, initially. It is an eye opener in the cruelty inflicted upon innocent people, but shows the strength of the prisoners had and that love can overcome. Thoroughly enjoyed the book. This is a book that grips you and won't let go. I sat and read it from cover to cover without a break and even a couple of hours later it is still haunting me. You would think that some 70+ years on from World War II we would become innured to the tragedies that befell the Human Race at that time but this novel brings this home to us. Never forget that this is, first and foremost, a novel. Based upon the life of Lale and Gita Sokolov it is only based on their experiences in Birkenau and it never purports to be a true retelling of their story. The brutality of the camps is set against the basic need for Human closeness and shows how love can flourish in even the most dire circumstances. Circumstances that none of us, in the "First World" can truely begin to imagine. This novel gives only a glimpse of that world but a glimpse is all we need, the desperation seeps off the page. Whilst it is true that Lale and Gita may be seen as collaborating with their captors they did what they had to to survive. Perhaps the most tragic tale is that of Cilka who was night after night forced to share a bed with the oppressors and then was jailed after the war for collaboration. All she did was survive at massive personal cost but she was vilified for that desire to survive. Although Lale and Gita survived, everything they endured most definitely changed them as people. Yet, the afterword by their Son shows that if anything their experiences made them in to "better" people. Loving and forgiving they carried on with life with a dignity that is both astonishing and inspiring. I thoroughly enjoyed this novel and would recommend it wholeheartedly. I RECEIVED A FREE COPY OF THIS BOOK FROM READER'S FIRST IN EXCHANGE FOR AN HONEST REVIEW. I heartily recommend this book that tells of relationships and experiences during one of the worst times and places in modern history. It's difficult to review "The Tattooist of Auschwitz" honestly because, like many other reviewers, I feel guilt with regards to my feelings about it. It's a struggle to say a bad word against it when it describes a true event, that happened to true people, and that had true, lasting and horrific consequences. That said, I think the best way for me to approach this is the same way I would any other piece of fiction, while prefacing it with the fact that I have utmost respect for the real Lale and Gita, and all of those affected by the Nazi regime, and that nothing said against "The Tattooist of Auschwitz" is any reflection on what happened in our history. 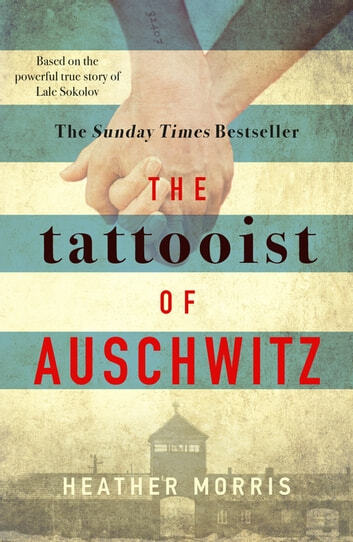 I still feel guilty having written that prefacing paragraph, though, because my overwhelming criticism of "The Tattooist of Auschwitz" is that from the start, right through to the very end, I was completely unconnected to any of the events and any of the characters. Morris's prose feels more like a screenplay, most likely because that's where Morris's experience is and where "The Tattooist of Auschwitz" first came into being. The writing doesn't flow well. Sentences are short and without variation. Everything reads like this. And in the end, it drains all of the emotion that should be elicited from this kind of book. Holocaust stories should easily be the most emotional stories, because we already have so much emotional baggage surrounding it ready to be manipulated. And yet, there's no emotion here; it's all so very clinical. Perhaps because writing is so juvenile and unsophisticated itself. Many times we are told things ("Lale was distraught") rather than being shown them. The dialogue, too, is robotic and doesn't have the natural flow of conversation. Having not known the real Lale and Gita et al., this is merely a criticism of the characters as they are presented in the book, but no one had much of a personality. Everyone had one dimension, nothing more. Lale was a survivor, longing to live. Gita was beaten down and weary. Dana was a good, comforting friend. Cilka was brave and courageous. The even smaller, secondary characters had no substance and were simply names on a page. And again, I don't want to insinuate anything about the relationship that Gita and Lale had in real life, but here, their love for each other comes out of thin air. Lale sees Gita, and that's that. It doesn't feel convincing because, like much of the events of the novel, it isn't written about comprehensively enough. "The Tattooist of Auschwitz" skips along its timeline at random, and you never really get a good feel of the events happening. I closed "The Tattooist of Auschwitz" and the first thought I had was that the author's note and the afterword by Lale and Gita's son, Keith, were both better written and more emotional than the novel itself. An unfortunate truth, given the harrowing true story behind the book, but the truth nonetheless.